*Compare to FUTL7616 Futaba RX. 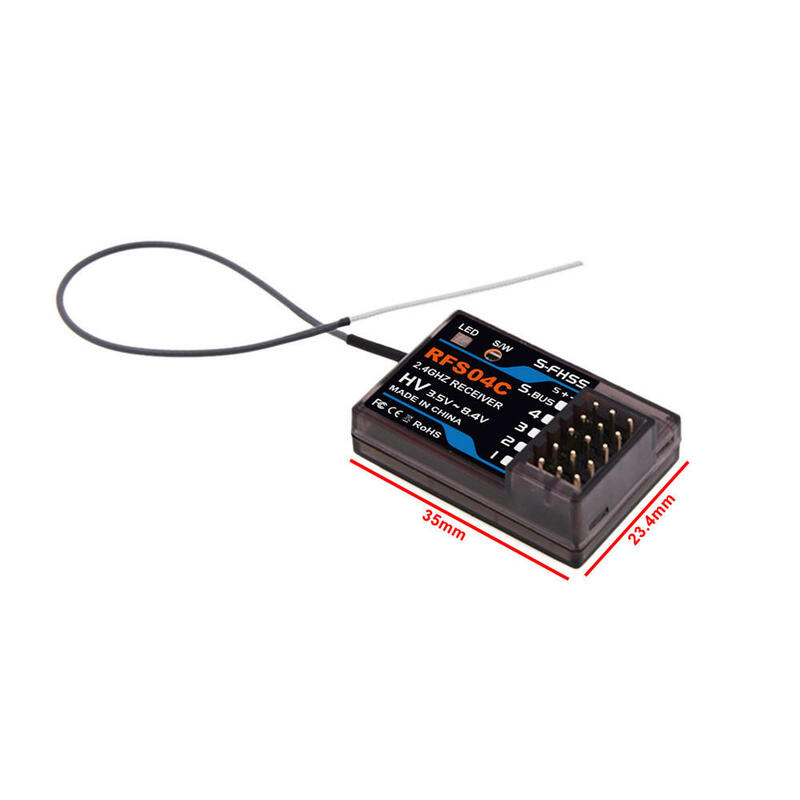 Note: This High Voltage 2.4Ghz S-FHSS 4-Channel Receiver is compatible with Futaba FHSS and S-FHSS transmitters. This receiver is NOT compatible with 2.4GHz FASST or FASSTest systems. It will work with FHSS and T-FHSS transmitters, but the transmitter mode will need to be changed to from T-FHSS/FHSS to S-FHSS mode. 4. Press and hold the Link switch more than two(2) seconds. When the link is complete,the LED in the receiver changes to solid green. When the ID cannot be read due to the surrounding environment, try reading it with the transmitter and receiver antennas touched.